Looking for some good iPad apps to teach STEAM in your classroom? This collection created by We Are Teachers is definitely a must see. 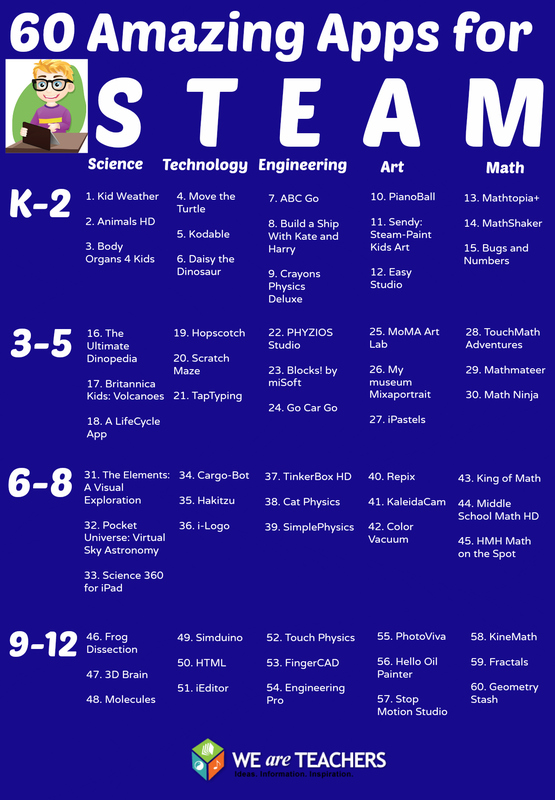 It provides about 60 iPad apps categorized under different subject areas, all of which are geared towards enhancing your kids' STEAM knowledge. The app recommendations are also arranged in such a way that you will be able to access apps for different grade levels (k-12). I have spent sometime going through this collection and find it really worth sharing with you here. Have a look and share with us what you think of it.